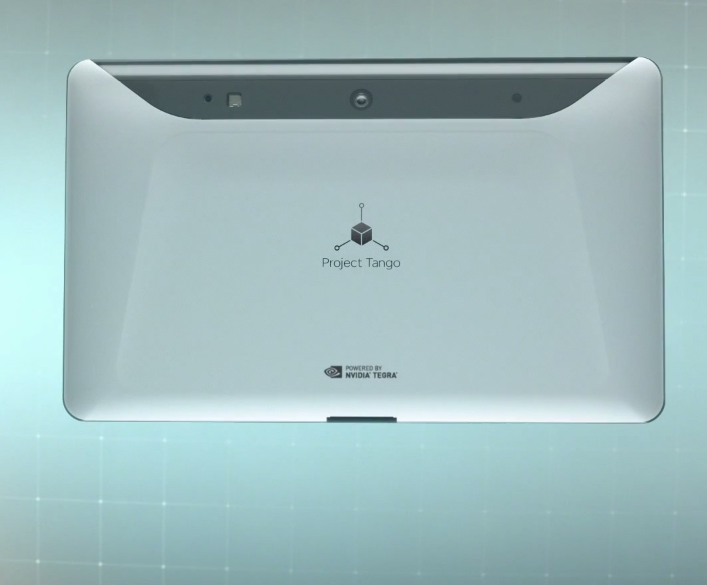 Google has just announced the official Project Tango tablet development kit, an insanely powerful slate powered by NVIDIA's Tegra K1 processor. 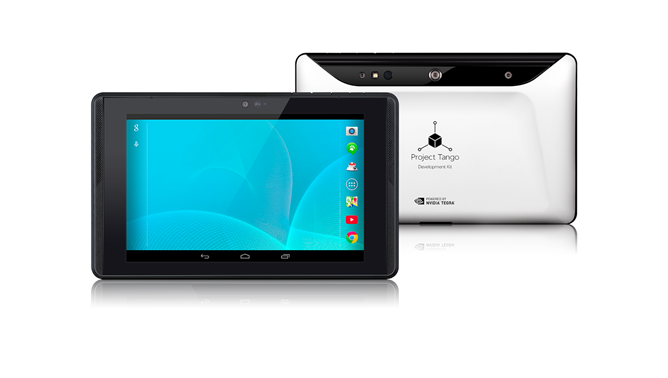 This thing is beastly - 7" display (unknown type / resolution), 4GB of RAM, 128GB of storage, Tegra K1 quad-core processor (not the dual-core 64-bit Denver), motion-tracking cameras, integrated depth sensing, Android KitKat, and LTE. The big catch? It's only for developers, and it will cost $1024. Yikes. Granted, this is a high-tech, cutting-edge experimental product designed as a reference and development tool, not something to check your Gmail on while browsing Reddit. Take a look at the video. The front-facing camera has a 120-degree viewing angle, there's a 4MP rear camera with 2 micrometer pixels (the same pixel size as HTC's UltraPixel sensor, probably the same camera), a motion-tracking rear camera, and an integrated depth sensor - all the tools you'll need to do the kinds of crazy stuff Google will want you to with this thing. You can sign up to learn more about the Tango Tablet at the link below, but you'll have to be a developer (or claim to be) in order to buy one in the first place. You can see an exclusive hands-on with the tablet with Engadget right here, too. 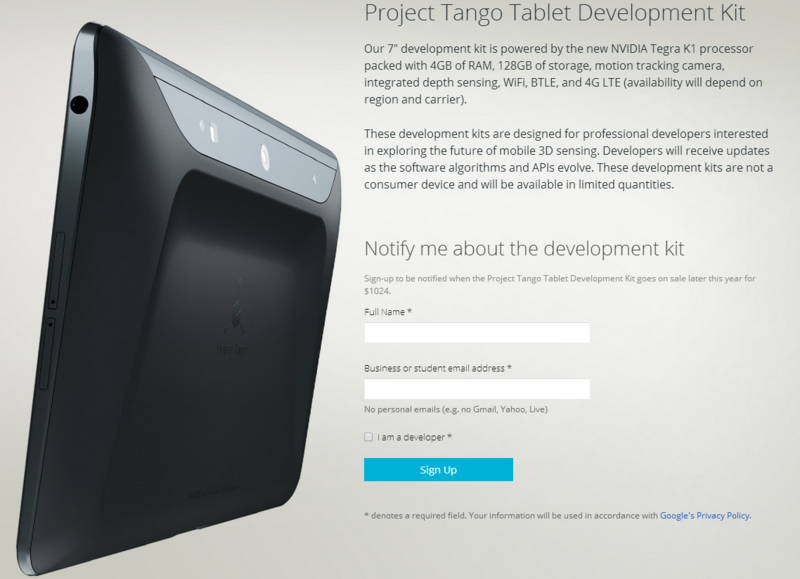 Oh, and this news comes rather well-timed considering an earlier rumor of a Tango-based tablet with a 4000-unit run.